Residence fees at University of Manitoba-run facilities are increasing by five per cent. The increases will help service debt from the recent construction of two buildings and allow for upgrades to older facilities. Photo by Garett Williams. Residence fees at the University of Manitoba will climb by five per cent across the board in 2017-18 as the university follows through on a five year plan to make the facilities financially self-sustaining. The increases apply to four university-run buildings – Pembina Hall Residence, Arthur V. Mauro Residence, Mary Speechly Hall, and University College – and were approved by the U of M board of governors in May. The rate for a 12-day extended stay over the holiday break will also increase by $5 to $105. More than 1,300 students reside in six buildings on campus each year, including the independently run St. John’s College Residence and St. Andrew’s College Residence. The fees at the independent residences are not set by the board of governors. The five year plan, which began in 2015, calls for five per cent annual increases until 2020, when raises will be held to 2.5 per cent. According to the submission to the board, the previous rounds of increases have not resulted in vacancies by causing students to seek cheaper housing off campus. The wait list for a space peaked at more than 300 last year and while director of student residences Barry Stone acknowledged that the list is not a perfect indicator, he said no formal complaints have been lodged arguing the increases are creating hardship. “We have never received any formal complaints or concerns regarding these increases from individual residents, groups, residence councils, or UMSU,” he said in an email. Stone said a new online withdrawal process will more accurately track and report students’ reasons for pulling out of residence. “This is something we are watching closely so that we don’t price ourselves out as a viable option for students – particularly those relying on student loans,” he said. 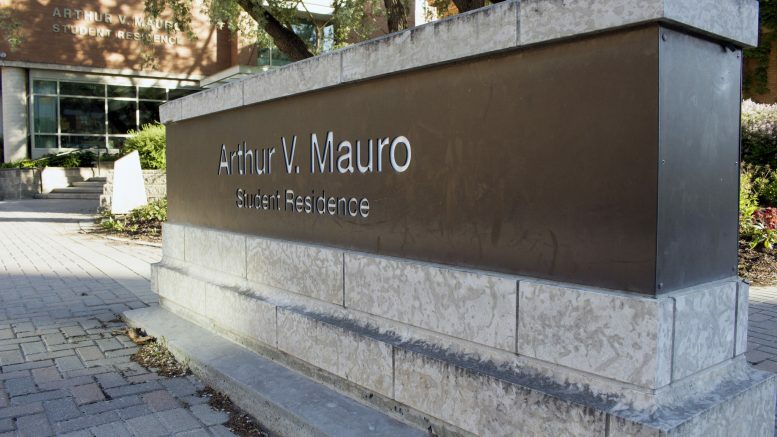 A large percentage of residence services’ operating expenses come from servicing the debt of the two most recently constructed facilities – Pembina Hall, built in 2011, and Arthur V. Mauro, built in 2003 – but Stone said the majority of the capital expenses over the five-year plan stem from investments into the older buildings. Over the next three years, residence development plans include the ongoing replacement of windows in University College, furniture replacement, electronic access upgrades and a community kitchen in Arthur V. Mauro, new carpeting in Mary Speechly Hall, and laundry equipment upgrades throughout all residences. University of Manitoba Students’ Union president Tanjit Nagra, who sits on the board of governors as a student representative, said breaking up the increases over a five year period softens the impact on students. She noted that U of M residence rates are competitive with other Canadian universities, and said no concerns were raised by the Residence Students’ Association Council in consultations. “We want to make sure fees, such as residence fees and other fees, are accessible to students,” she said. Under the increases, the Pembina Hall room rate will climb to $3,573 from $3,403 per term. Arthur V. Mauro rates with increase to $3,821 from $3,639 and Mary Speechly rates will rise to $2,729 from $2,599. The University College single room rate will climb to $2,779 from $2,647 and the double room rate with increase to $1,776 from $1,691. Residence meal plans will also see some changes in the coming year. After consultations through the residence dining advisory committee, which includes student and university representation, the meal plan offered at University College will see the Super Saver meal plan eliminated. According to the proposal to the board of governors, 70 per cent of students opted for the Premium plan over the Super Saver, and a quarter of those who did opt for the lower cost plan had to put more money into their plan before the end of the term. The Premium plan has been rebranded as UC FoodBucks. A hybrid scheme has also been introduced to University College that will allow FoodBucks and dining hall meals at Fresh Food Company through one plan.